Is it greedy—or irresponsible—to go on a quest to discover who you are? Not even a little bit. The other day, a desperate-looking woman approached me on the street and grabbed my arm. I assumed she was about to ask for money—but she looked me in the eye and demanded, "Is it selfish that I want to go on a spiritual journey?" Women constantly tell me they long to do what I did. Even if it's not possible for them to travel the world for a year, they want to create their own quest. They tell me they want to deepen their relationship with God and with themselves—but they don't want to seem entitled, irresponsible, frivolous. Aren't the demands of reality more important than their esoteric questions? And what if their spiritual journey leads them far from their cultural or religious origins, or disrupts their marriage? And what makes them think they're so special, anyhow, to deserve a spiritual quest? A lot of these anxieties stem from one problem: Often women believe they're not supposed to desire anything beyond home and family. But the craving they feel isn't wrong; it's human. Every spiritual journey in history has begun with a sense of dissatisfaction—with somebody saying, "This is not enough for me." You have the right to try to figure out who you are. This is not a simple task; you are a unique event in the history of the universe. There has never been a you—not your particular soul, living at this particular moment, faced with your particular challenges. Your existence is a mystery, a miracle, and an experiment of creation, and you are allowed to examine that mystery to the fullest. A spiritual journey bears no resemblance to a spa vacation. True spiritual investigation is rarely relaxing; expect your search to expose painful and challenging truths. We don't generally take on the fundamental questions because they're fun. Usually, we're brought to them on our knees. Staying with those questions, despite the discomfort, is a path for the brave. Doing something for yourself isn't by definition selfish. In Mandarin, there are two words that translate to selfish in English. One means "doing something that benefits yourself." The other means "doing something greedy." In English, we don't have this distinction. In our puritanical culture, we tend to believe that anything benefiting us is probably greedy. But guess what? You can do great things for yourself without taking a thing away from anyone else. Going on a spiritual journey can be a public service. Spiritual journeys are attempts to alleviate self-suffering. And until you can alleviate your own suffering, you will continue to inflict suffering—not only on yourself, but also on those around you. Happy people are much better at caring for others than those who are in pain. (Haven't you witnessed the way misery and depression make you unable to think of anyone but yourself?) Once you've found peace, you will be able to serve humanity. All this is what I told that desperate-looking woman, and it's what I'm telling you now. If you long for a journey, embark on one—for yourself, for the people around you, for all of us. We learn from one another's paths. In fact, I guarantee you this: You will not be the only person you liberate along your private road to freedom. 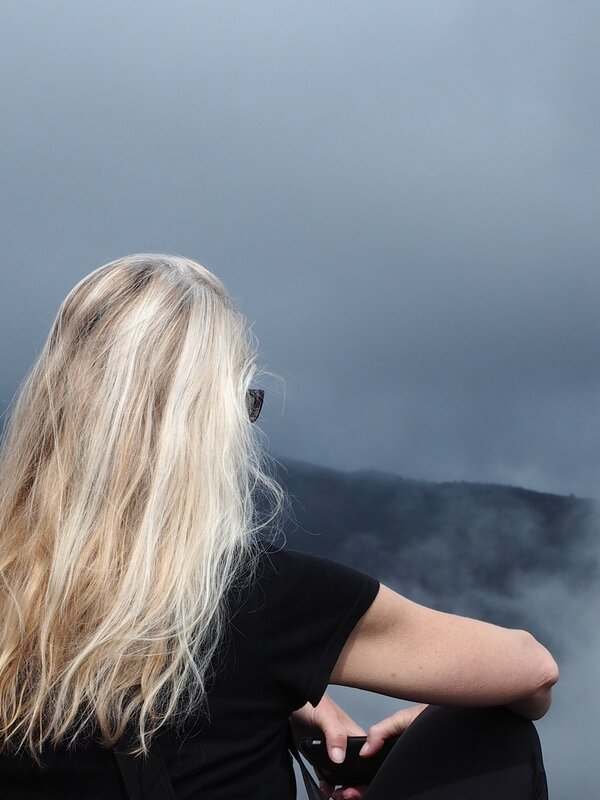 Thank you, Liz Gilbert for this spot on piece on why taking a Spiritual Journey is not only in service to your Soul, but to the rest of the World! AHO. Ari. This morning we sat down at Jack's Cafe, one of our favorite places to eat in our favorite neighborhood of San Blas (Cusco Peru). 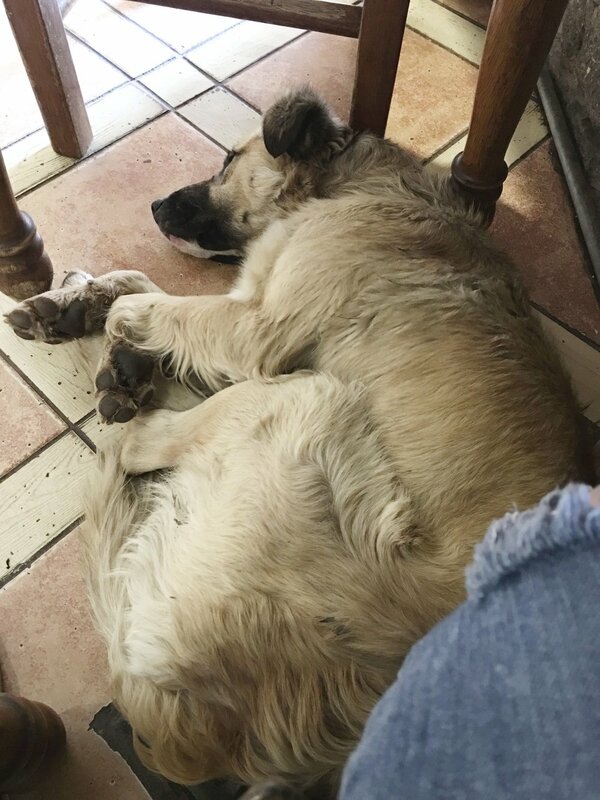 A dog followed us in from the street and put his head in my lap under our breakfast table, then laid down with his rump resting on my foot for the entirety of the meal and conversation. 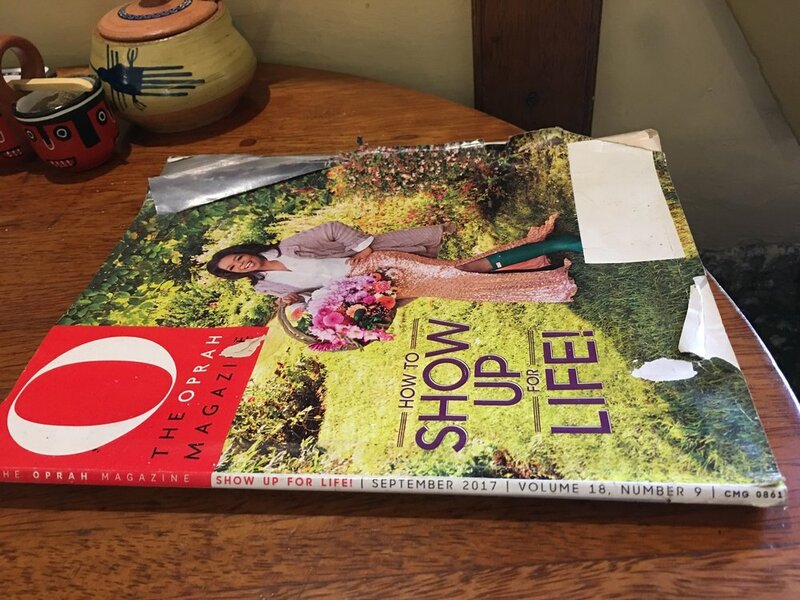 In the window, next to the humongous bouquet of gladiolus that touch the ceiling with their blossoms, was an old copy of O Magazine, something about Oprah's outfit, wearing knee high muck boots and a ground grazing pink sequin skirt in her garden, caught my attention. The theme was "How to Show Up for Life"... so I was compelled to take a look at what Oprah had to say about this topic. This spurred the most enthusiastic conversation about life, finding your own magic, creating right livelihood, Liz Gilbert, and a few other famous people and their messages— not to be mentioned here (because we don't agree with their message no matter how famous they are). By the end of breakfast we were feeling most inspired about the day ahead, the work we had on our plates, and the very meaningful purpose for being alive. 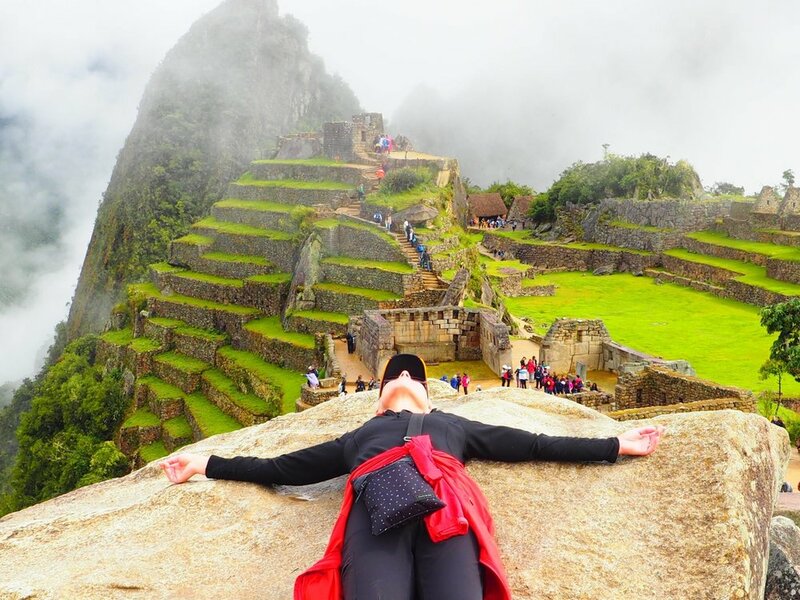 Below are some pictures from the recent 2018 Spiritual Journeys in March and April, join me for the upcoming Spiritual Journey in October of this year! Check out more pictures of the sacred journey on → Facebook.